Este trabajo reflexiona sobre los MOOC como entornos de aprendizaje. El número de cursos masivos abiertos y en línea (MOOC) ha crecido exponencialmente en pocos años desde que fueron introducidos. Los MOOC son considerados una nueva forma de entornos virtuales de aprendizaje potenciados por la tecnología. Se consideran dos tipos de MOOC: unos los organizados por Siemens y Downes (cMOOC) y otros los desarrollados en lugares como Stanford, con muchos estudiantes y loables objetivos (xMOOC); estos tienen también sus debilidades. Aunque han sido recibidos con altas expectativas, también han encontrado una fuerte oposición que está aumentando con el tiempo, lo que nos permite estudiar este fenómeno en profundidad. Aunque todavía hay pocas investigaciones empíricas sobre los efectos de los MOOC en el aprendizaje, este estudio trata de arrojar luz sobre el tema desde un punto de vista teórico. En primer lugar exploraremos las expectativas positivas y negativas generadas. Los MOOC pueden constituir una buena propuesta a gran escala, lo que solo es posible para unas pocas grandes instituciones. No hay estudio de mercado, ni modelo de negocio, ni investigaciones empíricas que permitan confirmar los anuncios de sus efectos positivos. Revisaremos las teorías del aprendizaje recientes y clásicas respecto a su capacidad para explicar el proceso de aprendizaje y compararemos los cursos en línea tradicionales, los xMOOC y los cMOOC en relación a su potencial para apoyar el aprendizaje y su auto-regulación. Adell, J. (2013). Los MOOC, en la cresta de la ola. Edu&tec. (http://goo.gl/tjPFse) (19-03-2013). Alcorn, B., Christensen, G. & Emanuel, E.J. (2014). Who Takes MOOC? New Republic. (http://goo.gl/TqYtnE) (04-01-2014). Armstrong, L. (2014). 2013- the Year of Ups and Downs for the MOOC. Changing Higher Education. (http://goo.gl/SqwGWn). Azevedo R. & Hadwin A.F. (2005). Scaffolding Self-regulated Learning and Metacognition – Implications for the Design of Computer-based Scaffolds. Instructional Science, 33(5-6), 367-379. Bartolomé, A. & Steffens, K. (2006). Self-regulated Learning in Technology Enhanced Learning Environments. VIII Congreso Iberoamericano de Informática Educativa. Costa Rica: San Jose (13-05-2006). Bartolomé, A. (2013). Qué se puede esperar de los MOOC. Comunicación y Pedagogía, 269-270, 49-56. (http://goo.gl/VhG7zs). Beckstrand, S., Barker, P. y Van-Schaik, P. (2001). Towards more independent learning: A Southern Nevada perspective. En ED-MEDIA 2001 World Conference on Educational Multimadia, hypermedia & Telecommunications proceedings, pp. 106-110. Beishuizen, J. & Steffens, K. (2011). A Conceptual Framework for Research on Self-regulated Learning. In R. Carneiro, P. Lefrere, K. Steffens & J. Underwood (Eds. ), Self-regulated Learning in Technology Enhanced learning Environments: A European Perspective. Rotterdam: Sense Publishers. Boekaerts, M., Pintrich, P. & Zeidner, M. (2000). (Eds.). Handbook of Self-regulation. New York: Academic Press. Caine, R. & Caine, G. (1991). Making Connections: Teaching and the Human Brain. Alexandria, VA: ASCD. Cupaiuolo, C. (2012). The History and Future of MOOC and the New Open Education Week. Spotlight on. (http://goo.gl/3pg8F8) (03-07-2012). Damasio, A. (1994). Descartes' Error: Emotion, Reason, and the Human Brain. London: Putnam. Damasio, A. (2003). Looking for Spinoza: Joy, Sorrow, and the Feeling Brain. New. York: Harcourt. Driscoll, M. (2000). Psychology of Learning for Instruction. Needham Heights, MA: Allyn & Bacon. Duke, B., Harper, G. & Johnston, M. (2013). Connectivism as a Digital Age Learning Theory? The International HETL Review, Special Issue, 4-13. EHEA Ministerial Conference (2012). Making the Most of our Potential: Consolidating the European Higher Education Area. Bucharest Communiqué. Bucharest. (http://goo.gl/GgLKXs). European Comission (2014). European MOOC Scoreboard. Open Education Europa. (http://goo.gl/ut4XDZ). European Council (2006). Recommendation of the European Parliament and of the Council of 18 December 2006 on key competences for lifelong learning. (http://goo.gl/RkSTwf). Fox, A. (2013). From MOOC to SPOC. Communications of the ACM, 56 (12), 38-40. (http://goo.gl/9yZKX9). Gibbons, A.S., Nelson, J. & Richards, R. (2000). The Nature and Origin of Instructional Objects. In D.A. Wiley (Ed. ), The Instructional Use of Learning Objects: Online Version. (http://goo.gl/NoOlvF). Gillani, N. & Eynon, R. (2014). Communication Patterns in Massively Open Online Courses. Internet and Higher Education, 23, 18-26. (DOI: http://dx.doi.org/10.1016/j.iheduc.2014.05.004). Goral, T. (2013). SPOC May Provide what MOOC can’t. University Business, July 2013. (http://goo.gl/gsbQMo). Hew, K.F. & Cheung, W.S. (2014). Students’ and Instructors’ Use of Massive Open Online Courses (MOOC). Motivations and Challenges. Educational Research Review, 12, 45-58 (DOI: http://dx.doi.org/10.1016/j.edurev.2014.05.001). Hodgins, W. (2002). The Future of Learning Objects. (http://goo.gl/LD3WFD) (20-05-2014). Illich, I.(1972). Deschooling Society. London: Marion Boyars. Karsenti, T. (2013). The MOOC. What the Research Says. International Journal of Technologies in Higher Education, 10(2), 23-37. (www.ritpu.org/IMG/pdf/RITPU_v10_n02_23.pdf) (20-05-2014). Kolowich, S. (2012). Elite Universities' Online Play. Inside Higher Education. (http://goo.gl/f8mwuS) (18-04-2012). Lane, L. (2012). Three Kinds of MOOC. Lisa’s (online) Teaching & History Blog. (http://goo.gl/ThZXHh) (15-08-2012). Lugton, M. (2012). What is a MOOC? What Are the Different Types of MOOC? xMOOC and cMOOC. Reflections. (http://goo.gl/9Szd6o) (23/8/2012). MIT News Office (2011). MIT Launches Online Learning Initiative. MIT News. (http://goo.gl/VLEH6J) (19-12-2011). Oremus, W. (2013). Forget MOOC. Slate. (http://goo.gl/l55Bgz) (18-09-2013). Piaget, J. (1947). La psychologie de l'intelligence. Paris: Colin. Quinn, C. (2012). MOOC Reflections. Learnlets. (http://goo.gl/anKfrw) (29-02-2012). Sangrà, A. (2013). ¿Prefieres un MOOC o un SPOC? El País, 28/10/2013 (http://goo.gl/Q54igr). Siemens, G. (2005). Connectivism. A Learning Theory for the Digital Age. ElearnSpace. (http://goo.gl/1yV7WT) (12-12-212). Siemens, G. (2006). Knowing Knowledge (http://goo.gl/3s2m8d). Siemens, G. (2012a). MOOC for the Win! ElearnSpace. (http://goo.gl/7kJftu) (05-03-2012). Siemens, G. (2012b). What is the Theory that Underpins our MOOC? ElearnSpace. (http://goo.gl/NV72pe) (03-06-2012). Skinner, B.F. (1957). Verbal Behaviour. Acton, MA: Copley Publishing Group. Steffens, K. (2006). Self-regulated Learning in Technology Enhanced Learning Environments: Lessons of a European Peer Review. European Journal of Education, 41, (3/4), 353-379. Udacity (2012). Udacity in Partnership with Pearson VUE Announces Testing Centers. Udacity Blog, 1/6/2012 (http://goo.gl/EGLz11). Verhagen, P. (2006). Connectivism: A New Learning Theory. (http://goo.gl/upLrdx). Watson, J.B. (1913). Psychology as a Behaviourist Sees it. Psychological Review, 20, 158-177. Watters, A. (2012a). Stanford AI Professor Thrun Leaves University to Start Udacity, An Online Learning Startup. Hack Education. (http://goo.gl/rbj3NM) (23-01-2012. Watters, A. (2012b). MITx + Harvard = edX. Hack Education. (http://goo.gl/8WuPQ3) (02-05-2012). Zeidner, M., Boekaerts, M. & Pintrich, P. (2000). Self-regulation. Directions and challenges for future research. In M. Boekaerts, P. Pintrich & M. Zeidner (Eds. ), Handbook of self-regulation. (pp. 749-768). New York: Academic Press. Zimmerman, B.J. (2000). Attaining Self-regulation: A Social Cognitive Perspective. In M. Boekaerts, P. Pintrich, & M. Zeidner (Eds. ), Handbook of Self-regulation (pp. 13-39). New York: Academic Press. Acosta Veliz, Marjorie Marcela; Villacis Aveiga, Washington Homero; Salas Narvaez, Luci Cristina;. STRATEGIC MARKETING ADMINISTRATION TO ENHANCE THE USE OF MASSIVE AND OPEN LINE COURSES IN ECUADOR REVISTA UNIVERSIDAD Y SOCIEDAD , 2018. Acosta Veliz, Marjorie; Jimenez Cercado, Marjorie;. Analysis academic offering of the main mooc platforms (massive open online course) and its importance in the 21st century VIVAT ACADEMIA , 2018. Alvarez, D.; Moreno, D.; Orduna, P.;. Maths: from distance to e-learning INTERNATIONAL JOURNAL OF INTERACTIVE MULTIMEDIA AND ARTIFICIAL INTELLIGENCE , 2015. Brazuelo Grund, Francisco; Cacheiro Gonzalez, Maria Luz;. 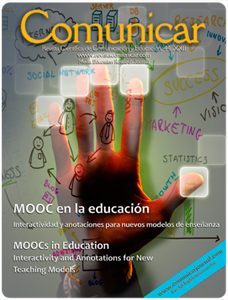 Study of Adaptability of MOOC Platforms to Mobile Devices RED-REVISTA DE EDUCACION A DISTANCIA , 2015. Cabrera, Nati; Fernandez-Ferrer, Maite;. Examining MOOCs: A Comparative Study among Educational Technology Experts in Traditional and Open Universities INTERNATIONAL REVIEW OF RESEARCH IN OPEN AND DISTRIBUTED LEARNING , 2017. Despujol, Ignacio; Castaneda, Linda; Turro, Carlos;. DEVELOPING A MOOC INITIATIVE: LESSONS LEARNT FROM THE UNIVERSITAT POLITECNICA DE VALENCIA EXPERIENCE TURKISH ONLINE JOURNAL OF DISTANCE EDUCATION , 2018. Esteban-Escano, Javier; Fidalgo-Blanco, Angel; Luisa Sein-Echaluce, Maria;. Influence of the didactical design in the perception of knowledge management in MOOCs SIXTH INTERNATIONAL CONFERENCE ON TECHNOLOGICAL ECOSYSTEMS FOR ENHANCING MULTICULTURALITY (TEEM'18) , 2018. Fernandez-Ferrer; Maite;. Democratizing education worldwide: fiction or reality? The role of Massive Open Online Courses PROFESORADO-REVISTA DE CURRICULUM Y FORMACION DE PROFESORADO , 2017. Fidalgo-Blanco, Angel; Luisa Sein-Echaluce, Maria; Jose Garcia-Penalvo, Francisco;. From massive access to cooperation: lessons learned and proven results of a hybrid xMOOC/cMOOC pedagogical approach to MOOCs INTERNATIONAL JOURNAL OF EDUCATIONAL TECHNOLOGY IN HIGHER EDUCATION , 2016. Gertrudix Barrio, Manuel; Rajas Fernandez, Mario; Alvarez Garcia, Sergio;. Production methodology for the development of audiovisual and multimedia content for MOOC RIED-REVISTA IBEROAMERICANA DE EDUCACION A DISTANCIA , 2017. Jaume Sarramona, Por; Santiuste, Victor;. Distance training and the challenge of professional competencies REVISTA ESPANOLA DE PEDAGOGIA , 2015. Lopez de la Serna, Arantzazu; Castano Garrido, Carlos; Herrero Fernandez, David;. INTEGRATION OF SPOC COURSES IN THE SUBJECTS OF DEGREE. A PRACTICAL EXPERIENCE PIXEL-BIT- REVISTA DE MEDIOS Y EDUCACION , 2018. Martínez, Olga; Steffens, Ernesto J.; Ojeda, Decired C.;. Formación universitaria , 2018. Mejon, Ana; Utray, Francisco; Rodriguez-Mateos, David;. Opinions and proposals from Film, TV and Media students about SPOCs RIED-REVISTA IBEROAMERICANA DE EDUCACION A DISTANCIA , 2018. Milligan, Colin; Littlejohn, Allison;. How health professionals regulate their learning in massive open online courses INTERNET AND HIGHER EDUCATION , 2016. Rincon-Flores, Elvira G.; Ramirez-Montoya, Maria-Soledad; Mena, Juanjo;. PROBLEM-BASED GAMIFICATION ON SUSTAINABLE ENERGY'S MOOCS ICERI2016: 9TH INTERNATIONAL CONFERENCE OF EDUCATION, RESEARCH AND INNOVATION , 2016. Rodriguez, Nancy; Llerena, Lucrecia; Moreno-Llorena, Jaime;. MOOC MODEL ACCEPTANCE IN DEVELOPING COUNTRIES: A CASE STUDY INTED2017: 11TH INTERNATIONAL TECHNOLOGY, EDUCATION AND DEVELOPMENT CONFERENCE , 2017. Rosendale; Joseph A.;. Gauging the value of MOOCs An examination of American employers' perceptions toward higher education change HIGHER EDUCATION SKILLS AND WORK-BASED LEARNING , 2017. Santos, Ana Moura; Viana, Joana; Chova, LG;. FROM DESIGN TO PRODUCTION: FIRST COURSE EXPERIENCES WITHIN MOOC TECNICO ICERI2016: 9TH INTERNATIONAL CONFERENCE OF EDUCATION, RESEARCH AND INNOVATION , 2016. Steffens, Karl; Bannan, Brenda; Dalgarno, Barney;. Recent Developments in Technology-Enhanced Learning: A Critical Assessment RUSC-UNIVERSITIES AND KNOWLEDGE SOCIETY JOURNAL , 2015. Steffens; Karl;. Competences, Learning Theories and MOOCs: Recent Developments in Lifelong Learning EUROPEAN JOURNAL OF EDUCATION , 2015. Tsai, Ya-hsun; Lin, Chien-hung; Hong, Jon-chao;. The effects of metacognition on online learning interest and continuance to learn with MOOCs COMPUTERS & EDUCATION , 2018. Vazquez-Cano, Esteban; Lopez Meneses, Eloy; Martin Padilla, Antonio Hilario;. The new virtual and continuing learning environments (MOOC). A diachronic study of the students of the Universidad Pablo de Olavide (2015-2017) EDMETIC , 2018. Wu, Bing; Chen, Xiaohui;. Continuance intention to use MOOCs: Integrating the technology acceptance model (TAM) and task technology fit (TTF) model COMPUTERS IN HUMAN BEHAVIOR , 2017. Yang, Genfu; Xiao, X; Hauer, T;. Understanding Continuous Use Intention of MOOCs -A Perspective from Subjective Task Value PROCEEDINGS OF THE 2018 4TH INTERNATIONAL CONFERENCE ON SOCIAL SCIENCE AND HIGHER EDUCATION (ICSSHE 2018) , 2018. Zawacki-Richter, Olaf; Bozkurt, Aras; Alturki, Uthman;. What Research Says About MOOCs - An Explorative Content Analysis INTERNATIONAL REVIEW OF RESEARCH IN OPEN AND DISTRIBUTED LEARNING , 2018. Arnavut, A., Bicen, H.. Determination of teachers perspectives and level of readiness towards MOOCs for tolerance education), Quality and Quantity, 2018. Cabrera, N., Fernández-Ferrer, M.. Examining MOOCs: A comparative study among educational technology experts in traditional and open universities), International Review of Research in Open and Distance Learning, 2017. Despujol, I., Castaneda, L., Turro, C.. Developing a MOOC initiative: Lessons learnt from the Universitat Politecnica de Valencia experience), Turkish Online Journal of Distance Education, 2018. Esteban-Escaño, J., Sein-Echaluce, M.L., Fidalgo-Blanco, Á., García-Peñalvo, F.J.. Influence of the didactical design in the perception of knowledge management in MOOCs), ACM International Conference Proceeding Series, 2018. Fernández-Ferrer, M.. Democratizing education worldwide: Fiction or reality? The role of Massive Open Online Courses | DEMOCRATIZANDO LA EDUCACIÓN A NIVEL MUNDIAL: ¿FICCIÓN O REALIDAD? EL PAPEL DE LOS CURSOS EN LÍNEA MASIVOS Y ABIERTOS), Profesorado, 2017. Fidalgo-Blanco, Á., Sein-Echaluce, M.L., García-Peñalvo, F.J.. From massive access to cooperation: lessons learned and proven results of a hybrid xMOOC/cMOOC pedagogical approach to MOOCs), International Journal of Educational Technology in Higher Education, 2016. Flores, E.G.R., Montoya, M.S.R., Mena, J.. Challenge-based gamification as a teaching' Open Educational Innovation strategy in the energy sustainability area), ACM International Conference Proceeding Series, 2016. Liang, H.-W.. Discussion on the micro curriculum resources construction in shadowboxing course from the perspective of open university and its application mode), Journal of Advanced Oxidation Technologies, 2018. Martínez, O., Steffens, E.J., Ojeda, D.C., Hernández, H.G.. Pedagogical strategies applied to education with virtual media for the generation of global knowledge | Estrategias pedagógicas aplicadas a la educación con mediación virtual para la generación del conocimiento global), Formacion Universitaria, 2018. Mena, J., Rincón Flores, E.G., Ramírez-Velarde, R., Ramírez-Montoya, M.S.. The use of gamification as a teaching methodology in a MOOC about the strategic energy reform in México), Advances in Intelligent Systems and Computing, 2019. Milligan, C., Littlejohn, A.. How health professionals regulate their learning in massive open online courses), Internet and Higher Education, 2016. Persico, D., Steffens, K.. Self-regulated learning in technology enhanced learning environments), Technology Enhanced Learning: Research Themes, 2017. Riofrío-Calderón, G., Ramírez-Montoya, M.-S., Rodríguez-Conde, M.-J.. Mediation practices for learning in MOOC courses to promote open innovation), ACM International Conference Proceeding Series, 2016. Rosendale, J.A.. Gauging the value of MOOCs: An examination of American employers' perceptions toward higher education change), Higher Education, Skills and Work-based Learning, 2017. Tsai, Y.-H., Lin, C.-H., Hong, J.-C., Tai, K.-H.. The effects of metacognition on online learning interest and continuance to learn with MOOCs), Computers and Education, 2018. Wu, B., Chen, X.. Continuance intention to use MOOCs: Integrating the technology acceptance model (TAM) and task technology fit (TTF) model), Computers in Human Behavior, 2017. Zawacki-Richter, O., Bozkurt, A., Alturki, U., Aldraiweesh, A.. What research says about MOOCs - An explorative content analysis), International Review of Research in Open and Distance Learning, 2018. =Are MOOCs Promising Learning Environments?